The midterm election is coming up and Tuesday is the last day to make sure you are registered to vote in Florida. To register or to check your voter status, you can visit registertovoteflorida.gov. To be eligible to cast your ballot you must be registered before the deadline which is 29 days before that election. If the deadline has passed, you can still submit an online application at any time and it will be processed for future elections. 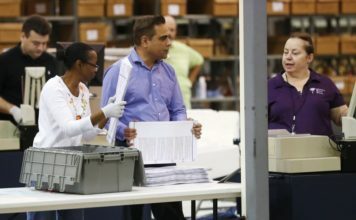 The midnight deadline for voter registration could paint a better picture as to whether the state of Florida will experience a large change in voter demographic. 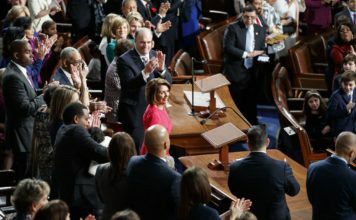 Some have predicted that there will be a blue wave, with an increase in Democratic votes, but others aren’t so sure. A new Pew Research survey shows even though 75 percent of people say voting is a sign of being a good citizen, above paying taxes and following the law, millions are either not registering or registering and still not voting. Election offices say your voice and vote matters, whether at the local or state level, these are decisions that will directly affect you and your family. The mid-term general election is November 6, 2018.